Fits Tahoe Deluxe 32 inch direct vent fireplaces. A 32-inch firebox is a great size for any room, and this direct vent gas fireplace adds a touch of reality with its five-piece log set. The contour burner is able to produce up to 18,000 BTUs, and the whole system comes with remote-ready millivolt controls for added convenience. There is no need for unreliable screws or fasteners because it comes with hem-bent seams, and there is no need for electricity. The fireplace also features black slat louvers and heat-resistant tempered glass. 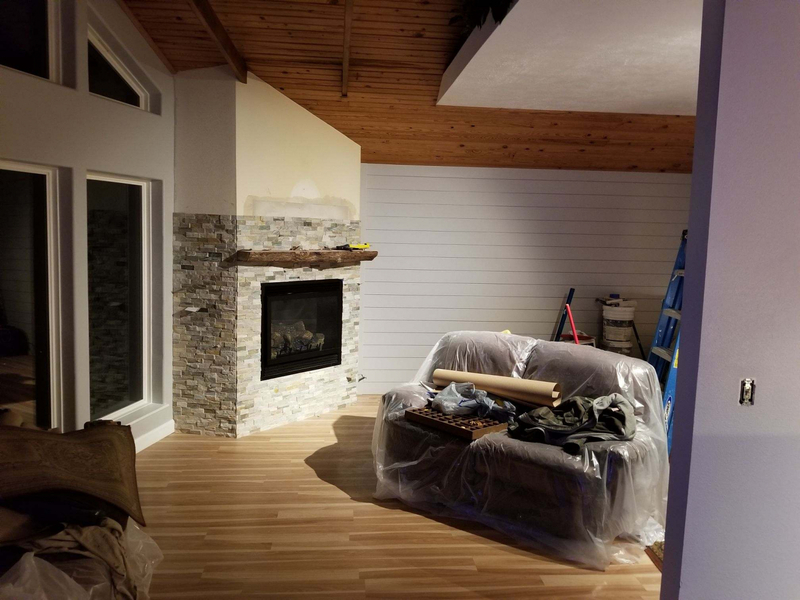 How tall are the flames on this fireplace? They will be about 3 -5 inches tall. Can it be mounted on an exterior wall of a mobile home so you can also see it in the outside deck. And can you mount a tv over it? This unit is not rated for outdoor use, only wood-burning and vent-free units are recommended for such applications. TVs installed above a fireplace must maintain the same clearance as any combustibles per the manufacturer guidelines. It is also recommended to install a mantel between the fireplace and any electrical appliance. How much does this weigh? Also, I'm thinking about getting curbside delivery. This fireplace weighs 96 lbs. This fireplace is always delivered via freight carrier and curbside delivery, provided there is access for the freight truck. It can vent either way, depending on your needs. Yes, this fireplace can utilize either a basic on/off remote control, an on/off thermostat remote control or a programmable thermostat on/off remote control. This model is also available as an electronic ignition/intermittent pilot unit; all dimensions and specs are the same. For the vent configuration, you can use a flexible horizontal vent kit and connect it to either the top or rear of the unit, and, yes, the flex can rise as it runs horizontally through the exterior wall. 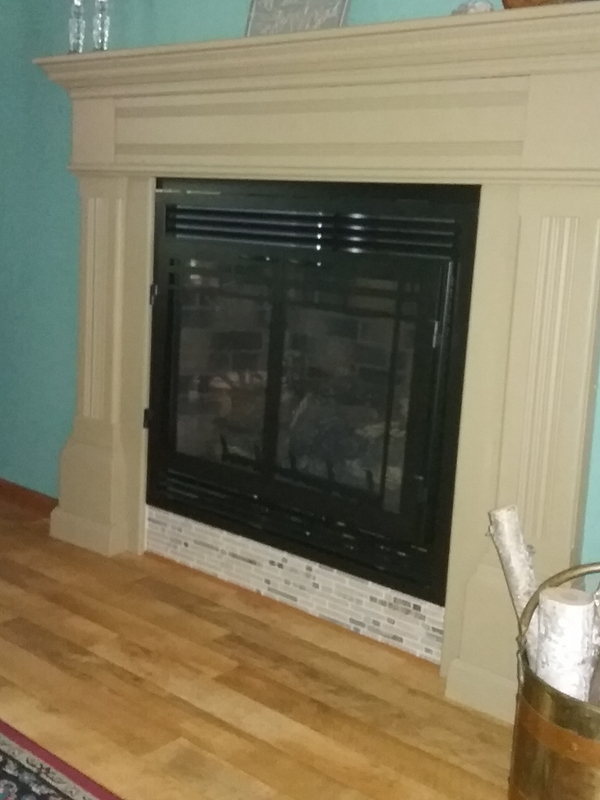 While this includes some of the black trim, the front door measurement is 23 1/16" H x 31" W.
I have this fireplace installed in my home. Where can I get the optional blower, part FBB4? How do I select one that will work with small propane tanks? Also, do I need the blower, what does that do? Does it come with the logs already in it? Thank you. If you are referring to the smaller BBQ tanks that are readily available, none of the indoor gas hearth systems we offer are designed for use with tanks of that size for several reasons. Mainly, smaller tanks will not be able to provide the pressure needed for these systems for more than a few hours or even minutes before outages will begin to occur. 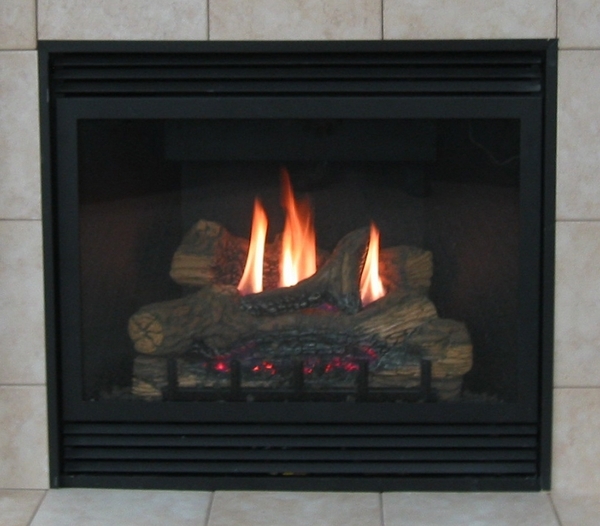 Hearth manufacturers will typically recommend using a 100 lb. tank at the very least, which will have to be located away from the home in a location based on both local and national code requirements. With regards to the blower, adding an optional blower will add a convection heating to a blower-ready system like the model in question by pulling normally cool room air into openings just below the combustion chamber and then pushing newly heated air out of openings atop the combustion chamber. 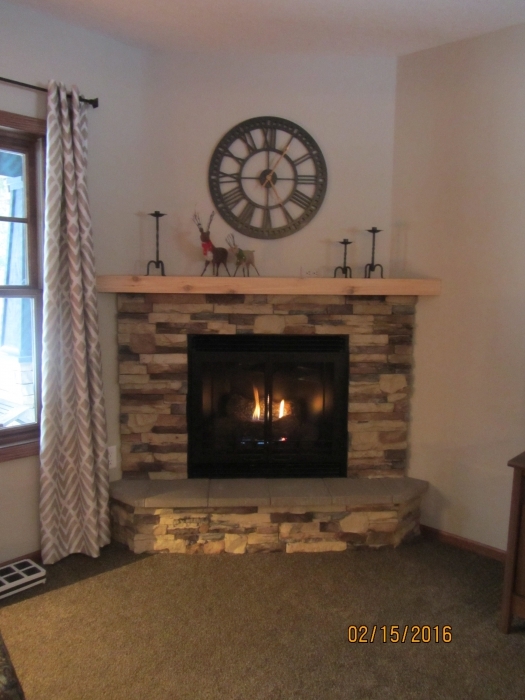 When a blower is added, a direct vent hearth system will not rely on only radiant heat from the front glass to warm a space, creating a much more efficient hearth system. Lastly, the fireplace will indeed arrive with logs. What are the rough opening measurements to frame this? The framing dimensions for the Empire DVD32FP Tahoe Deluxe direct vent models are as follows: 34 3/8" wide, 35 3/4" high and 16 3/8" deep. It says remote ready, however, can this be used with a switch on the wall to turn it on? Is anything else required for use with a wall switch? In general, the term "remote ready" advertised with a standing pilot system means that any basic On/Off millivolt-compatible wall switch may be used. This model may absolutely be used with the Empire On-Off Wall Switch - FWS-1 with no additional parts needed, aside from possibly needing longer wires depending on the switch location. Are there blowers or fans available that can be installed below the unit? The accessory blower for this fireplace would indeed be installed under the opening behind the lower access panel. How close (or far) can the vent be from the NG Meter? 6' of clearance is required, measured from the center of the meter. The solid glass panel on this fireplace measures 27 1/2" wide and 20" high. 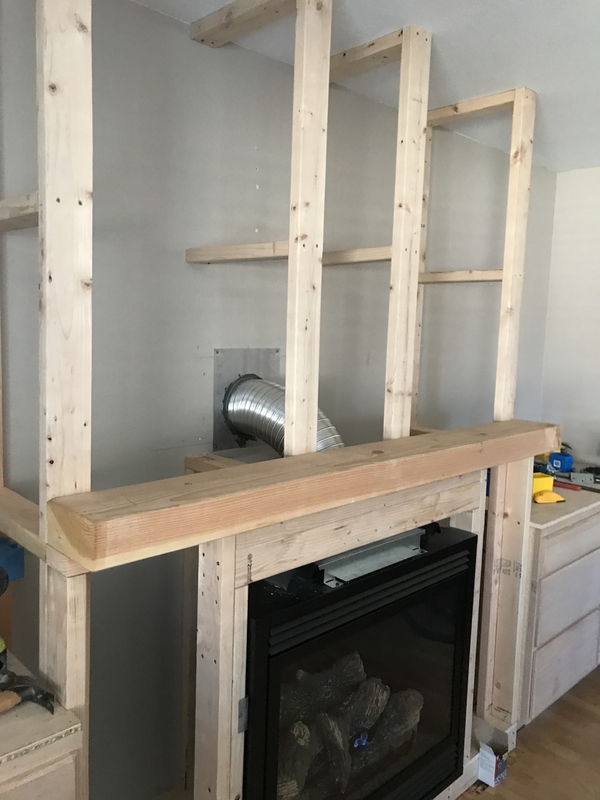 Does this Empire Tahoe Deluxe direct vent natural gas fireplace need to be mounted in a fireplace? 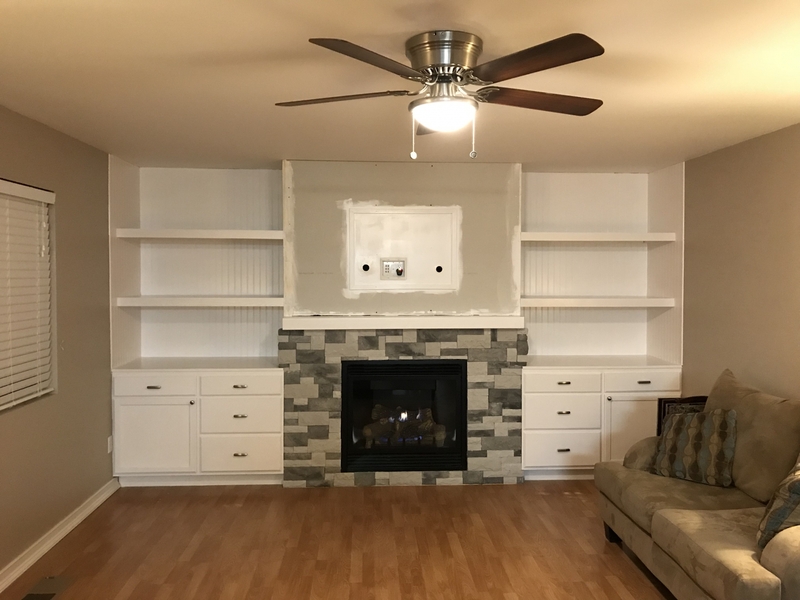 This unit is meant to be framed directly into the wall of your home or to be used as a standalone fireplace with the installation of a mantel surround (available under the "popular accessories" section of the unit's page). Does this Empire Tahoe Deluxe direct vent natural gas fireplace come with the metal holder/grate where the 5 logs rest on? The logs are positioned directly atop the burner, as such a traditional log grate is not utilized. The grate fingers shown in the photo are strictly decorative to give the illusion that a grate is in place holding the logs. 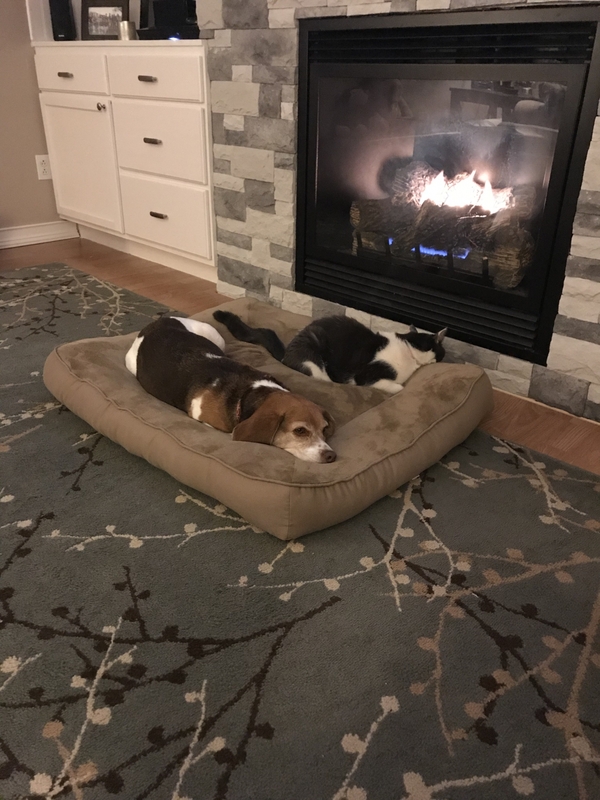 Does this natural gas fireplace come with gas logs? This unit does indeed come with the ceramic log set depicted in the photo as standard. Is this a "flush mounted" to the wall model? Is a 38" roof opening enough space around the fireplace? This unit is indeed designed to be installed into a wall and finished flush with the surrounding wall board or veneer. This model requires a framing height of 35 3/4 inches to install properly, so it would seem that you have a bit of a surplus. Does the direct vent exhaust upward via a chimney or can it exhaust to the back of the house? A direct vent unit like this Tahoe can indeed vent and terminate either vertically or horizontally.